When it comes to skincare, East Asia is ahead of its game and time. China, is home some of the most ancient beauty rituals with surprising skincare benefits. And if the jade roller is anything to go by, C-beauty could be the next big thing. The humble jade roller has been dominating our Instagram feeds, especially after Ruyi (played by Chinese actress Zhou Xun) used the beauty tool in the hit period drama "Ruyi's Royal Love In The Palace." Did you know? The tiny rolling pin that's only recently trended has actually been around for centuries. There's evidence of jade rollers going as far back as seventh-century China. Like most beauty tools that withstand the test of time, the art is in a jade roller's simplicity. The tool is made from solid jade stone. The dual-ended derma roller typically features a larger stone designed for use on the cheek, jaw and forehead, while the smaller stone is for delicate areas under the eyes and around the mouth. Also, because it is made of jade, the cool and smooth surface of the roller helps to calming redness on skin and access muscles and tissues with just the right amount of pressure. So what does it do? The roller is designed to be swept across the face to promote blood circulation and natural drainage of the lymph nodes. 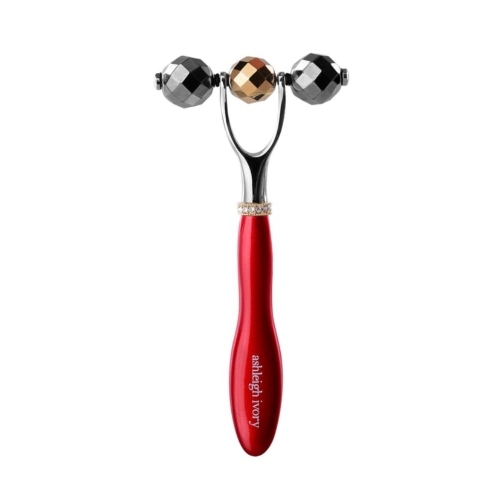 When done correctly, using a beauty roller like it can help to contour and refine the face, release muscular tension and lift the skin. 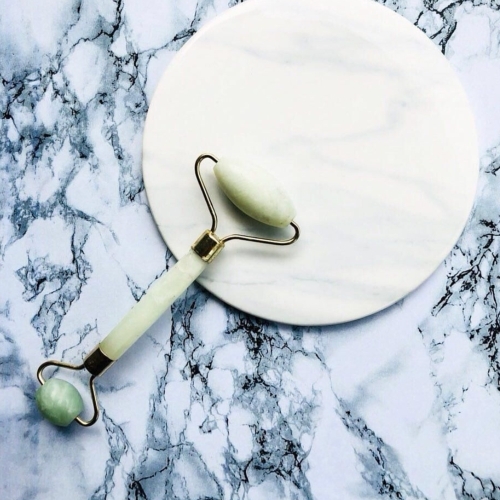 Just as exercise can tone your body, the jade roller can tone your face and give you that coveted V-shaped visage too by clearing fluid, boosting circulation, improving elasticity and promoting cell turnover for brighter and healthier skin. Jade rollers can be used before your skincare products to help the products penetrate your skin. The basic technique involves rolling it in an upward and outward motion, starting from your neck towards the forehead. Make sure to apply gentle pressure as you move up to lift the muscles. For an extra chilly pop of puff-fighting, store your beauty roller in the freezer before using. Now that you know how it works, here are some rollers to try out. Let's roll. Fun fact: This is the same one used by Ruyi in the drama. After consolidating feedback from their customers, Herbivore Botanicals made the decision to reformulate its roller. Now, the tool is made of aventurine jade that has been said to attract luck and opportunity (who doesn't want that?) and is more durable than ever. 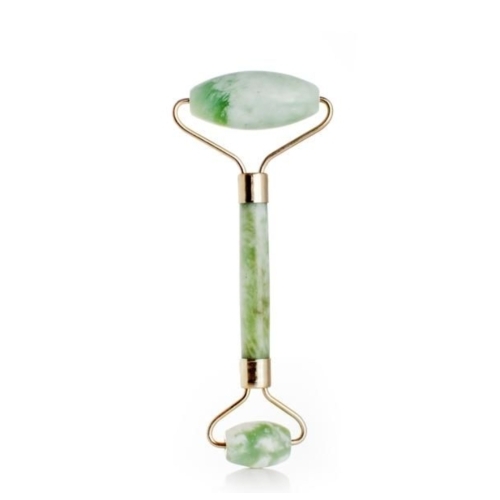 Made with a cooling and nonporous natural stone, the Jade roller by Australian skincare brand Canvas has been said to relax facial muscles, improve blood flow and stimulate the lymphatic system to cleanse away toxins, when used in an upward motion. Its cooling properties also help to tighten the pores and improve skin elasticity, as well as constrict capillaries under the eyes to reduce under-eye puffiness and dark circles. Slightly different from your conventional jade rollers, this tool from the homegrown skin brand is made with terahertz ore, which emits terahertz waves which supposedly help improve the skin condition by allowing skincare products to penetrate better. Here's how to use it optimally: soak it in warm water to open pores (skincare is better able to absorb into skin) and promote blood circulation. However, when you immerse the roller in ice water, it helps to close pores and tighten skin.